Spring has not yet sprung but I'm thinking about summer cocktails anyway. I recently revisited a Leyla cocktail classic and decided to get back to my drinking roots - revisit my love of vodka. Bourbon cocktail? You can keep it. Lately, it's been all about whiskey... wherever you go, there's some "mixologist" putting his or her own twist on a "classic whiskey cocktail". Well, I am over it. Make no mistake about my relationship with bourbon, I'm a fan. Maybe even a superfan. I've often stated my love for bourbon and was once a self-proclaimed cocktail connoisseur (here in my bio). My love of spirits pre-dates many bartenders' births, I know my booze. I love whiskey but I am tired of every 20-something server / bartender telling me why I should or shouldn't enjoy something. Whiskey and craft beer people are out of control and they're making me mental. That's why I need vodka. Stoli-soda. Rocks. Short glass. Double lemon. I started ordering this cocktail sometime in the 90s. I drank whiskey all through my formative drinking years, post-college I needed a more adult drink. I needed to sound cool in da club and I needed to get intoxicated. But not too intoxicated, which meant no more Long Island Iced Teas. Stoli-soda. Rocks. Short glass. Double lemon. That's my jam (as the kids say, or at least I think that's what they say). I order the drink just like that. I walk up to the bar, with a little attitude, and in a monotone voice I say, "Stoli-soda", like it's one word. Then a slight pause, very slight, and then I say "Rocks", fast. Then another slight pause, "Short glass", this is said in normal speech speed. And then the most important part, I lean in and make eye contact and carefully say, "Double lemon". That's when they know I mean business. There it is, my summer cocktail inspiration. You can also try variations of this cocktail. Try it with a lemon-lime mix, or an orange slice. 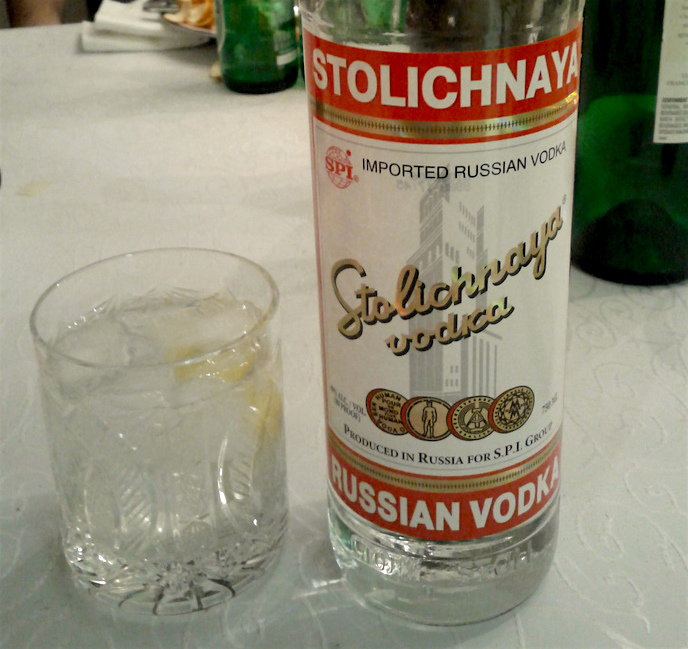 You can also try flavored vodka, I prefer orange flavored vodka, but beware flavored vodka has a lower alcohol content. Try it with a splash of San Pellegrino - blood orange or bitter lemon.